Save your pennies John. I can't even imagine the prices some of these things will go for! It's going to be wild for sure. I'm wondering if we'll see the Overboard Box poster set a new Houdini record. Do you think Cooperfield will buy them all? I've never seen that overboard box poster before. Sandy hook is a 25 minute drive from where I live in NJ. I can't imagine where any crowd could have stood to see this the event. The inlet is pretty far from the shoreline. 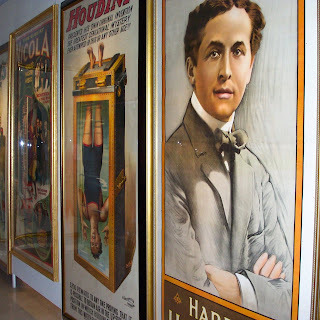 Only a black & white version of that poster has ever appeared in print as far as I know (in Randi's Houdini His Life & Art). Certainly DC will be interested in some of these. But so will every collector and magician. I can't wait for the catalog! Norm understands that now is the time to sell off his collection. Strike while the iron is hot, and Houdini is red hot right now. DC will certainly walk away with the HH posters not in his collection. Especially that Overboard Sandy Hook poster. 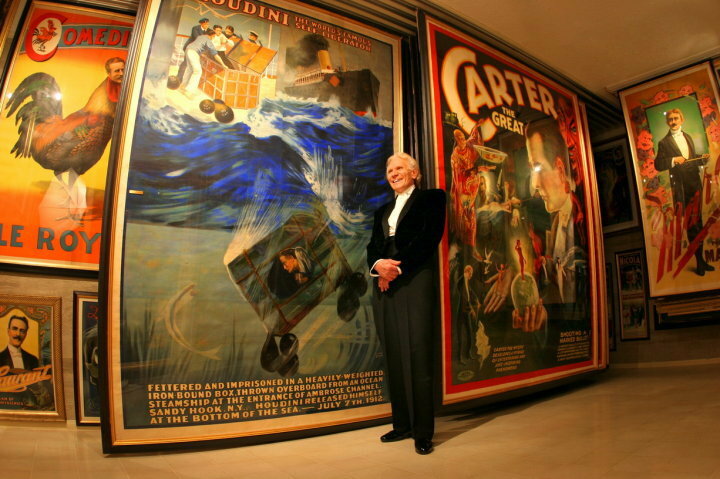 In fact, DC will walk away with any poster not in his collection. 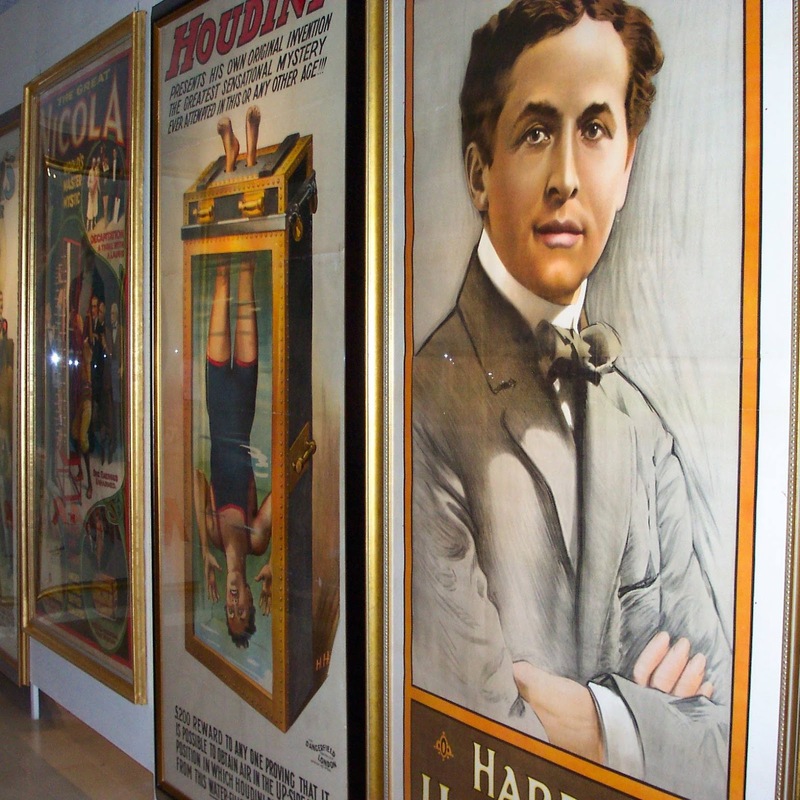 David Copperfield already purchased over 50 of Norm's posters before-hand including the Overboard poster and many other Houdini posters. They will not be part of the auction Sorry to burst your bubble. Really? Well, that does indeed burst my bubble. I was looking forward to seeing some good pics of that overboard box poster in the catalog, etc. But thanks for the update, Danny. Thanks for the update Danny. I don't collect posters so there's no burst bubble for me. Since DC cherry picked Norm's collection, the two photos above are already dated. I suppose it wouldn't have been good to see Norm posing in front of a bare wall. I'm sure he bought low and sold high.